Eric Roberts plays First Officer Hogan, a last minute substitute to the cockpit of Flight 534. Disaster strikes when suddenly without warning the luggage door is ripped open, causing the plane to veer out of control. When the captain is knocked unconscious, Hogan has to overcome his nerves from a previous bad experience to regain control and avoid a violent storm that looms ahead. 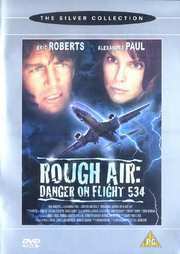 With the help of his ex-girlfriend, flight attendant Katy (Alexandr Paul), Hogan must save the passengers and crew of Flight 534 from certain death.